Unlike other wranglers, the gang at Banff Trail Riders is driven by a single goal: ensuring you get a comfortable Banff adventure that takes you to places you wouldn’t otherwise get to see. It’s why we spend so much time hiring the best guides, preparing tasty meals for our cookouts and overnight stays, and planning trips that make you feel like you’re right in an old western flick. We’re pretty darn proud of what we offer. Banff Trail Riders has been helping travellers since 1962, it’s a tradition that we are proud of. We follow the same historic routes that the original explorers of the Canadian Rockies carved through the bush back in the 1920s. We’ve been guiding along these trails for so long, you’ll get to see amazing places others would miss if they made the trek on their own. With over 300 horses at our stables, we’re able to pinpoint the absolute perfect horse for any rider that comes our way. That also means that if you have never been riding before, we will be sure to pair you with the most mild-mannered horse available. You will be able to enjoy a nice and safe ride. After all – we here at the Banff Trail Riders want both seasoned horsemen and horsewomen as well as new riders to have the time of their lives! Horseback riding has deep roots out here When pioneers first began to explore Western Canada, horses offered the most efficient way to navigate the craggy, steep terrain of the Rockies. They pressed through the unexpected brush to open up new trading routes during the 1800’s. Around the turn of the century, the Canadian Pacific Railway began promoting places like Banff National park as thrilling Alp-like destinations for the world’s most elite travelers. Everyone was eager to explore the farthest reaches of this untouched wilderness. We could go on and on about the history of this place, but we’d rather tell you all about in on a trail ride instead. No experience is necessary. Our guides will provide a brief riding instruction. I have a medical condition, can I still ride with you? At Banff Trail Riders we would love to have everyone experience our trail rides! Customer safety and horse welfare are our top priorities and as such there are some circumstances where we may be unable to take guests on our trail rides or into the back country. If you have any questions or concerns please do not hesitate to contact us and we will be happy to discuss these with you. What Toilettries Should I Bring? Biodegradable shampoo, toothbrush and toothpaste. We do supply toilet paper and hand soap at the lodge. Please note there is no electricity at the lodge. A warm coat — Essential to ward off chilly nights or a windy day. Also bring a heavy sweater (wool is a great insulator) or a fleece jacket. Rain gear — A raincoat and rain pants, and if possible, coverings for your boots and hat. Please DO NOT bring rain ponchos, they flap in the wind and spook the horses. If you have one, we recommend an oilskin slicker. We have a limited supply of full-length oilskin slickers for rent for $7/day. If you are interested in this service, please book early. Slickers are available for pick up upon check in. Shirts — 2 Sweatshirts, 1 long-sleeve shirt (turtleneck if you prefer) and 2 T-shirts. Adjust according to the length of your trip. Jeans — We suggest one pair for riding in during the day and another pair for wearing around camp. Two pairs of jeans are all you should need on any of our trips. Also important is a pair of long underwear for chilly nights. Riding boots — A boot with a heel that can easily slip in and out of stirrups. Alternatives would be a narrow style of hiking boot or solid sneaker. For safety reasons, clunky hiking boots are not recommended. Plastic bags inside your boots can help to keep your feet dry on rainy days. Sneakers — or an extra pair of shoes for wearing around the lodge, and a pair of slippers or indoor shoes to wear inside the lodge. An extra pair of dry socks is also recommended. Gloves and a scarf — Lined leather or suede gloves provide protection from the elements and a sure grip on the reins (bring two pair just in case one gets wet). A silk or cotton scarf/bandana is recommended for extra warmth. Water bottle — for refreshment while you are riding. Please arrive at 9:30am at the Warner Stables. Bags/luggage – Waterproof bags are the best option. Drysacks, favoured by canoers, or a gym bag lined with garbage bags work well. A warm sleeping bag — We recommend a bag rated to -15 degrees Celsius or 5 degrees Fahrenheit. You may not need it, but it sure comes in handy if you do. A favourite cowboy trick for extra warmth is to tuck a flannel sheet or non-bulky blanket inside your sleeping bag. A warm coat — Essential to ward off chilly nights or a windy day. Also bring a heavy sweater (wool is a great insulator) or fleece jacket. Rain gear — A rain coat and rain pants, and if possible, coverings for your boots and hat. Please DO NOT bring rain ponchos, they flap in the wind and can scare the horses. If you have one, we recommend a slicker. We have a limited supply of full-length slickers (traditional cowboy rain coat) available. These are available for pick up upon check in based on a first come first served basis.Clothing that is easily layered works the best. You can always remove what you don’t need, but you still have it just in case. Also, bring your most comfortable gear — this is not the time to break-in new boots or a new hat. Shirts – long sleeve and t-shirts to your preference and length of trip. Jeans – a cowboy classic. Also important is a pair of long underwear for chilly nights. Riding boots — A boot with a heel that can easily slip in and out of stirrups. Alternatives would be a narrow style of hiking boot or solid sneaker. For safety reasons, clunky hiking boots are not recommended. Water (rain) resistant boots are recommended. Sneakers — or an extra pair of shoes for wearing around camp, an extra pair of DRY socks is also recommended. Toiletries — towel, facecloth, biodegradable shampoo, toothbrush, toothpaste, disposable razors, etc. Please note that we do not have any electricity at the camps. WE SUPPLY TOILET PAPER AND HAND SOAP AT ALL CAMPS. Hat — A cowboy hat offers the most protection from the elements. Baseball caps or canvas-type hats are also fine. Please ensure that your hat fits snug or ties on and will not blow off in the wind. Chin straps are recommended. If you prefer to wear a riding helmet, we have them available upon check in on a first come first served basis. Gloves — Lined leather or suede gloves provide protection from the elements and a sure grip on the reins (bring two pair just in case one gets wet). Scarf — A silk or cotton scarf is recommended for extra warmth. Sunscreen— sunglasses and mosquito repellent. Your camera – extra batteries. Flashlight — Remember to check your batteries! Cellular phones do not work in the areas you’ll be riding in so leave them somewhere safe. If you will be using the camera on your phone, please note there is no charging station in the backcountry. Water bottle – for refreshment while you are riding. You will be able to refill your water bottle at each camp. Saddlebags – You are welcome to bring your own; We do have saddlebags available at check in. Please fill them with only those essential items that you would need during the day, such as lip balm, your camera, sunscreen, etc. We reserve the right to limit the amount of gear in the saddlebags for weight. Daypacks, backpacks or other bags are NOT allowed — they are hard on your back and hard on the horse’s back, and do not tie properly to the saddle. Cash – you may want to bring some cash to purchase liquor or leave a gratuity for your cooks. You can also use credit cards to purchase liquor. Equipment Rental Email Bactrax/Snowtips at snowtips@telusplanet.net, for information regarding sleeping bags/liners, luggage bags etc. Located at 225 Bear Street (just a block away from Banff Trail Riders), Snowtips offers a convenient rental service. They are open from 8am until 8pm, and would love to receive your inquiries. If you would prefer to contact them by telephone, they can be reached at (403) 762-8177, or fax at (403) 760-6289. 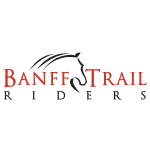 Banff Trail Riders vs West Adventures Inc.